Gra’inne is a 1998 Island Packet 350 that we bought shortly after relocating from Saudi Arabia to Northern Virginia. After looking at a lot of boats and chartering a few we decided that the 350 was for us. After I retired in late 2003, we sold our house and moved aboard Gra’inne full time. We created this website so that we could share our travels aboard with friends and family. We spent the first few years aboard cruising the Eastern Seaboard from Maine to the Bahamas. 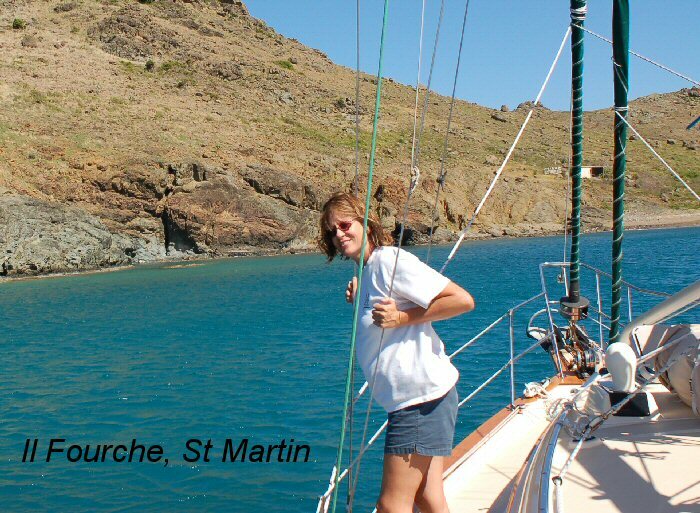 In 2007, after a great vacation aboard a Narrow Boat on the Canals of Central England, and travels in Ireland visiting the home of the “Pirate Queen”, I moved the boat to the Caribbean and for 8 seasons we enjoyed cruising the Caribbean Islands between Grenada and Antigua. Until 2014 we spent summers in our home at Burnt Store Marina, on Florida’s Southwest Coast, and winters aboard in the Eastern Caribbean. We had seen and done everything we wanted to in the Bahamas and Caribbean so decided it was time for a change. After returning from Grenada we kept the boat here in the Marina for awhile and then moved it to a boat yard for summer storage. We were just not going to be using the boat like we would have wanted so in early 2015 we listed the boat for sale on IP Homeport. After only 6 days the boat sold! The new owners lived aboard for about a year and then sold her again, shame! The current owners are based in Maine and are great people aboard the new “Packet Dream”. I’m not sure if this name will stay but I’ll update this page if/when I learn of a new name. If you bump into a beautiful 350 along the US East Coast and Bahamas, stop and say hello, it may be Gra’inne.